Mom Journey Takes A New Turn. So I’ve been on this “Mom” Journey for the last 12 and a half years (give or take a few days). I pride myself on being a good mother. I stay home, I work on my projects when the kids are sleeping, and try to provide healthy meals disguised as yummy fun foods. This doesn’t include tackling Mount Everest everyday in the laundry room, the bills I pay, or the yucky chores reserved for me. But lately I don’t feel like I’m being a good mom. A few months ago, God shook me awake by pointing out a few flaws. 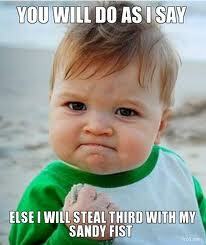 One flaw in particular is a glaring blind spot about commanding my kids to obey, just because I’m mom. When you were little, do you remember those words coming out of your mama’s mouth. Tell me, did you obey because you wanted to or because you were in fear of your life? I mostly listened to my mama because I knew she could snuff me out in an instant. It wasn’t until I was in my early 20’s that I actually liked my mom. I don’t want to raise my kids that way. I don’t want to strong arm them into doing what I’ve asked. In a past post about Shaping the Heart, my daughter’s antics revealed that my purpose is to shape her heart, not her actions. If I don’t begin shaping my children’s hearts, then what is going to stop them from making monumentally poor choices in their teen and early adult years. And believe me, I know about poor choices and having no respect for authority. Yikes! Seriously, I had this dream about my children being mice and me being a cat recently…very strange. 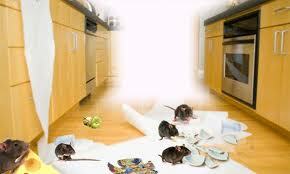 I dreamed that the mice obeyed every command and observed all the rules; until the cat (me) left the house. When the cat left, the mice broke every rule possible. After all, there wasn’t anyone there to stop them from misbehaving and why would they want to obey a tyrant anyway? Because my children are growing up, I’m looking towards their futures and I’m worried that I am not preparing them to make good choices or have integrity and resolve to be a godly person. Instead, I’m afraid that all I’ve taught them to do up to this stage in life is obeying to keep mama happy. Seriously, how is that going to work out for them when they’re eighteen or twenty-four? So while on my mommy journey, I’ve hit a wall and have been asking for guidance to raise kids that not only obey but they do it because they want to. And even if they don’t want to, they choose to because I’ve asked them. 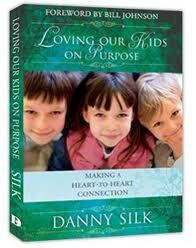 Loving Your Kids On Purpose by Danny Silk has completely pulled the rug out from under me. Its a fresh look at parenting through God’s eyes. Here on earth, we don’t have a dictator telling us what we can and can’t do every hour of the day; nor has anyone spanked my rear, or yelled at me, or counted to three because I wasn’t listening. It has opened my eyes to giving my kids more freedom in their choices, to build a heart to heart connection and tools to guide the everyday parenting challenges. For the last three weeks, mothering has been FUN, yes I said it, FUN, as in a day at the park and it includes the tantrums and melt downs. In these moments, I always felt like I needed to rescue the kids from the situation or feeling like I needed to strong arm my kid into obeying. Case in point, the other night my son would not go to bed. Instead of threatening to close his door, take his toys or using encouraging good behaviors to earn Wii time the next morning, we gave threw him for a loop. “Okay but since you aren’t tired, you can either empty the dishwasher or mops the floors. When you’re tired you can go to bed,” we (my husband and I) replied as we turned out the lights in the rest of the house, led him to the kitchen and opened the dishwasher for him. Elijah stood there shocked, he was excited he didn’t have to be in bed, but wasn’t exactly thrilled with the choices. We went to our room and closed the door, anxiously listening for sounds to dishes clanking. We waited ten minutes before checking on the kiddo. The dishwasher was closed and the lights were off. Elijah was in his bed, quiet as a mouse and we haven’t had a bed time issue since. There is a time and place for setting firm limits and asking them to obey when needed, in the meantime, my new journey is about presenting choices, giving options, putting the burden of a mistake back into their laps as a life lesson, and empowering them to make good choices. I’m excited to be a parent, to shape their hearts for the future instead of shaping their behavior for the moment. Does this timeout look like we are accomplishing the goal of thinking about what they did? Nope, didn’t think so, but I thought I would ask. So now that I’ve gone on and on about my new mommy tools, what are tools you use to encourage good choices and good behaviors from your kids? What is the most frustrating aspect of parenting your wee ones? Leave a comment, I’d love to hear your thoughts about it! I think I need to read that book. Great post. Got me thinking, thanks! SOunds like a great book! 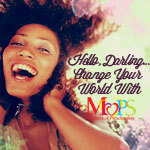 I just found you from the Christian Moms to Follow group on Mom BLoggers Club. I would love to have you visit and follow too! I will definitely follow your blog. I struggle with the authority thing too. I followed you on networked blogs and google friend connect. Did you know that GFC is going away in March for all non-blogger blogs? You should switch to Google Plus! It is a huge pain and so frustrating. Heather, found you on MBC! Welcome to the group! Check out my blog at http://www.cheeriosandlattes.com. Oh, it looks like I had already followed your blog, so I guess I just now added your facebook page :). Sorry, I didn't recognize your name. I loved what you said here – and just had to comment. So much of what you said rang so true! I have six kids – oldest is 20, youngest is 7. A few years ago, I realized that while I'd raised well-behaved, respectful, obedient kids…that just isn't enough. I didn't know how to make them love the Lord. I learned this is what is called "moralistic parenting", and I didn't want to do that anymore. The book you linked to sounds fantastic! I would recommend another book, as well. 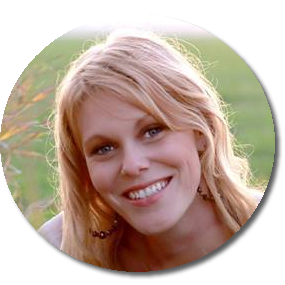 It was the game changer for me: Give Them Grace by Elyse M. Fitzpatrick. It has not only changed my parenting and my kids, but it's changed me, as well. It's taught me to show my kids the gospel at every turn. When they disobey, I can show them how amazing God's grace is that even though we ALL blow it, His grace covers them. And when they do well, I can remind them that it's only by God's grace that we do anything good. It's helped them to see God as someone they LOVE, not just someone they "better obey, or else". And I can see them making different choices out of this love, instead of out of fear of consequence.